It didn’t take Tim Tebow very long to make an impression in baseball. Tebow hit a two-run home run to the opposite field in the bottom of the second inning. 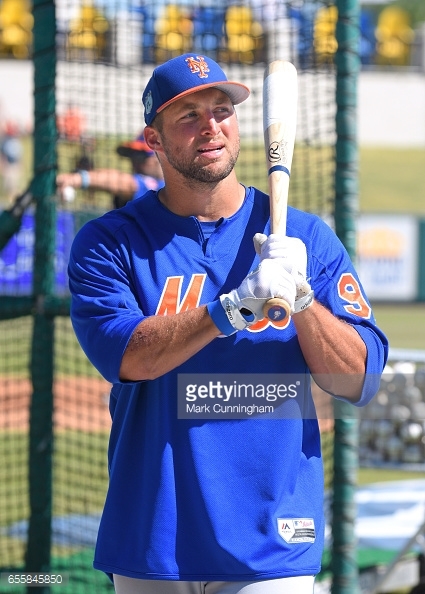 This was Tebow’s first career minor league at-bat after stints in the Arizona Fall League and Major League Spring Training with the New York Mets. Tebow drove a 2-1 pitch from Augusta Green Jackets starting left-handed pitcher, Domenic Mazza. The sold out crowd went wild with many patrons dressed in Florida Gators orange and blue. Tebow struggled in both the AFL and in the Grapefruit League. During Arizona Fall League play, Tebow hit .194. Tebow followed Fall League play by hitting in just four of his 27 at-bats in the spring.